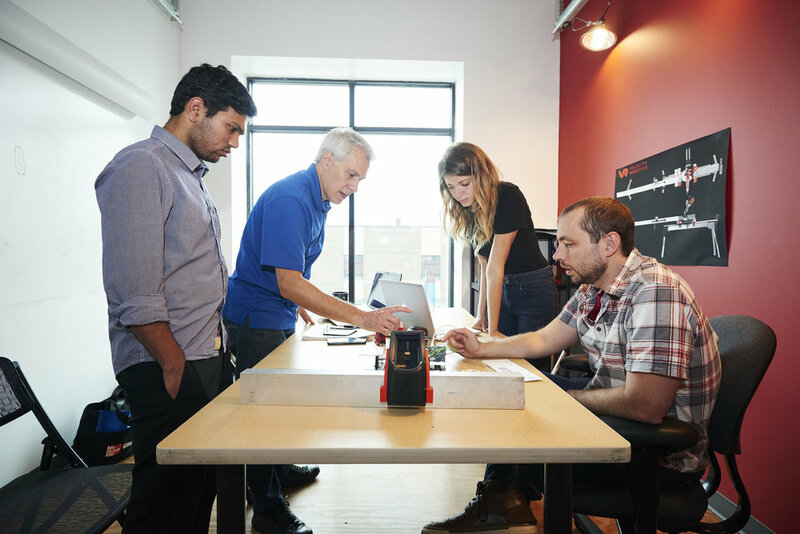 Autoset is a precision positioning system that combines precision with speed. 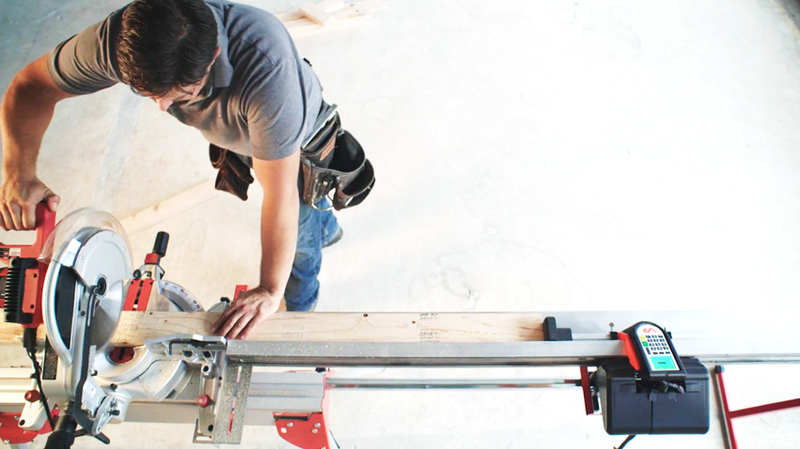 Designed with the contractor in mind, Autoset is easy to learn and operate. Empower your team on the jobsite or in the shop. 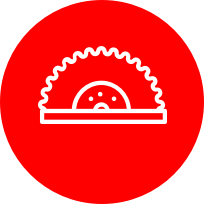 Autoset works with your existing miter saw, chop saw, wet saw, drill press, or even you bender to get you a precision cut every time. Cut with confidence and accuracy to a 1/64th of an inch. 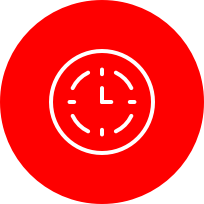 With Autoset, you can save time, money, and scrap. Make every cut within 1/64" (0.4mm) of your target, every time, without having to stop, measure, mark, and adjust. And because the cut list comes directly from your design or an electronic measuring device, there's no manual measurement. That means fewer opportunities for measuring error, throughout your measure-cut-install workflow. 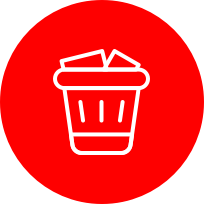 Eliminating error from manual adjustment when you make your cut is one more way Autoset helps you reduce overall error. Fewer errors mean fewer re-cuts, and fewer re-cuts mean less scrap and fewer material re-orders and lumber yard trips. Ultimately, that means less material cost. That's great news whether you're remodeling your own basement or developing a new subdivision. 50%. That's how much faster you make a single cut with Autoset vs. manual measuring and cutting. 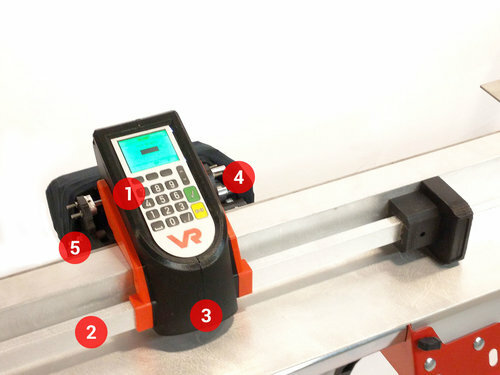 Considering you can reduce re-cuts and trips back-and-forth between your saw and the install location by queueing cuts, you may have to find a hobby for all that spare time you gain! If you're a professional, this can make a significant impact on your bottom line. Contact us for more information, including a ROI estimate for your business. 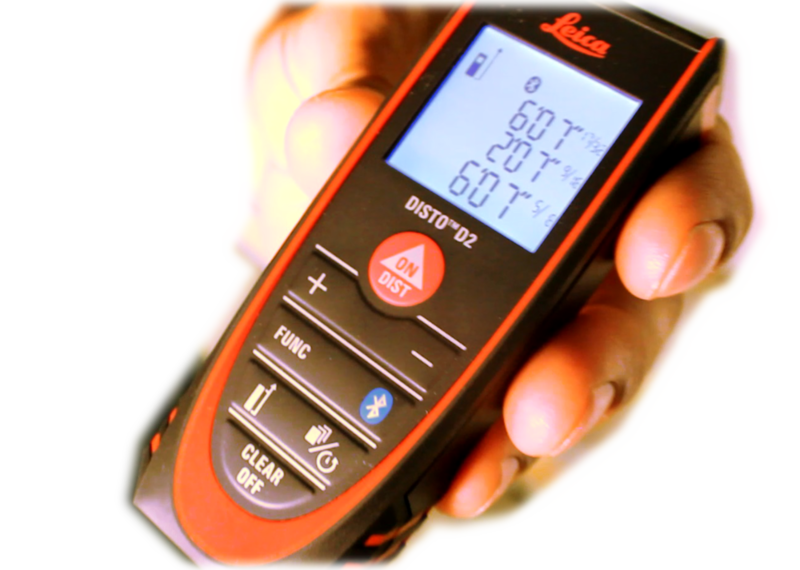 Leica DISTO laser distance meter - integrates with our app. Our team working on the electronic components. Proprietary extruded aluminum rail provides a sturdy structure for the rail to glide on, and protects the sensitive measurement apparatus. Carriage made with sturdy, metal frame and tool-grade plastic housing uses v-wheels with protected bearings for smooth, robust motion on the rail. 24-inch ram overhangs the saw base to place the stop close to the blade for short cuts. The ram is adjustable for different saws, and can flip for mounting to either the left or the right of the saw. 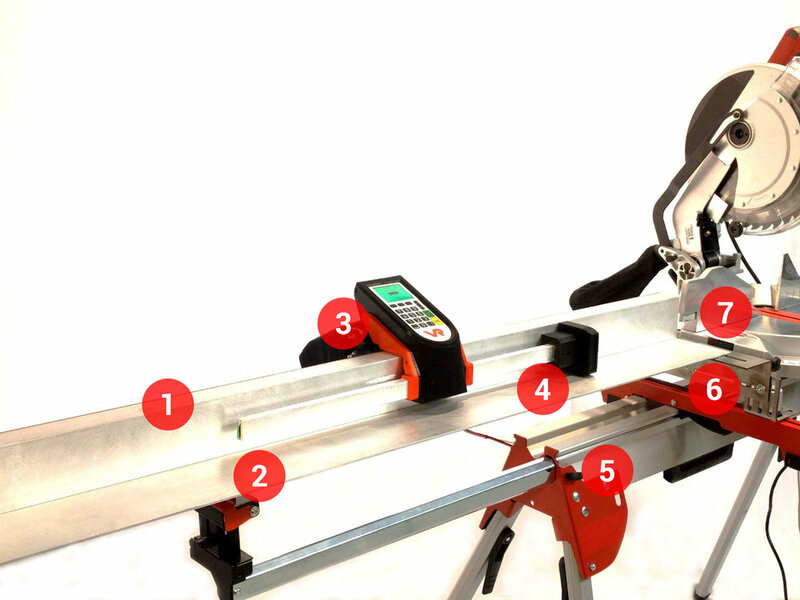 Mounts to a saw on a portable stand or in a fixed location in a shop. 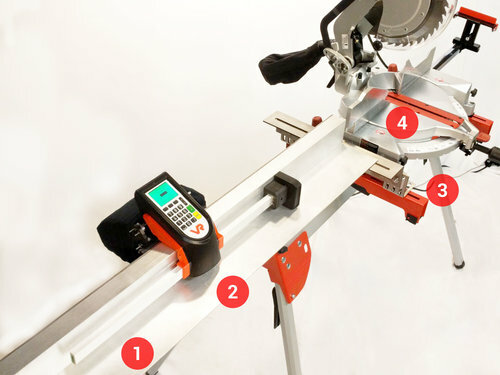 Designed to attach to any make and model of miter saw. Can also be attached to other equipment such as chop saws, drill presses, and tile saws. Mounting hardware and variant for table saws coming soon. Ram to place the stop close to the blade for short cuts. Read your current cut length and any associated miter settings and quantities needed, plus who requested the cut if you're working on a crew. See whether or not the stop is set and you're ready to cut. Read the next cut length in the list. You can scroll through the cut list with the up and down arrow buttons. Know which way to push the stop and when it's time to cut. Enter manual lengths in fractions or decimals. Ram overhangs saw base to place the stop close to the blade for short cuts. Carriage top slides over 1 inch in both directions to adjust to your precise cut length and flips out the way when a manual cut is required. Precision positioning components include two stepper motors that operate the brake and fine-adjust mechanism, hardened steel shafts with brass bearings for reliable operation, and protected bearings for operation in dusty environments. For additional information and extra detail, check out our FAQ page!